Today, Maine has a rapidly growing oyster farming industry. Operations are typically relatively small, and are almost all hands-on, and many oyster farms using methods for cultivation that correspond to their commitment to environmental sustainability. Aside from Newcastle and Damariscotta, there are many other oyster producing coastal towns, and with a variety of oysters almost too numerous to count, Maine does well in catering to high end restaurants in places like Washington, D.C., and New York, among others. 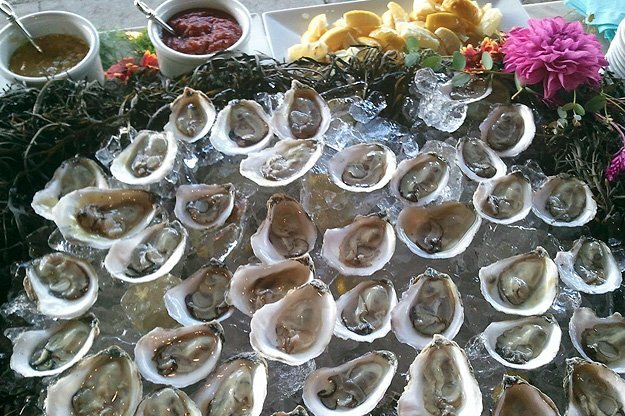 Maine visitors and locals have the advantage of enjoying local oysters not only at restaurants, but also at sidewalk stands, from an oyster boat fresh off the dock, at casual gatherings, and backyard parties. The names and flavors differ, depending on the region, and like wine sommeliers, connoisseurs will tell you that oysters have the taste of the location of where they come from. Some will tell you that the brinier oysters come from farms that are closer to the river mouth where the water is effectively saltier. Do your own research and create your own taste tour by going to a raw bar, taking an oyster farm tour, walking up to a street cart and find out first hand why Maine’s oysters are legendary. Oyster Farming from Maine Office of Tourism on Vimeo. Bagaduce River, Damariscotta River Estuary, Cushing Harbor, Harpswell, Freeport, North Haven Island, Mill Cove & Taunton Bay. 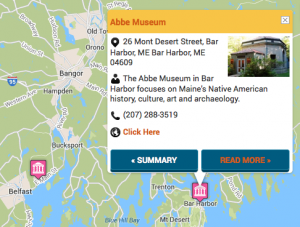 Follow the Maine Oyster Trail!